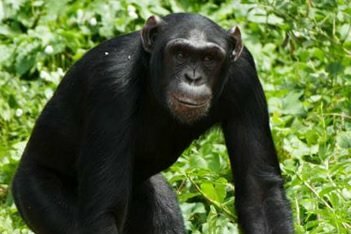 This 3 Days chimpanzee trekking safaris in Uganda leads you to Kibale forest Uganda’s largest home to different primate species, during this 3 Days Chimpanzee trekking safaris in Uganda we shall take you on a guided chimpanzee trekking experience in Kibale forest where you will encounter different species of primates and 1000’s of birds, the 3 days Chimpanzee Trekking Safaris in Uganda will see you visit Bigodi swamp and here you will meet with the local community for presentations as a form of supporting and giving back to the society so as to conserve the park. 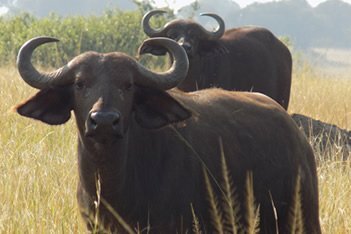 Today your driver will pick you from your safari lodge in Kampala city or Entebbe and drive you to fort portal as we set off for our 3 days chimpanzee trekking safaris in Uganda, break off for lunch in Fort portal after you will drive to visit the Toro crater lakes and tea plantations as we proceed to check in at the safari lodge of your choice in Kibale, then rest and prepare your self for the next day Chimpanzee tracking adventure. Meal plan Lunch and dinner. Chimpanzee trekking safari in Uganda will start with an early breakfast, before your driver takes you to the information center where you will meet with other guests for briefing on the chimpanzee trekking DO’s and DON’T’S while meeting with the chimpanzees Kibale forest national park. Chimpanzee trekking safari in Uganda experience takes between 2-6 hours depending on how far the chimpanzee groups have moved and you will return to the lodge for lunch and after we shall again take you for community and nature walk with in Bigodi swamp where you will be able to see different species of birds, monkeys and most common ones being the Red-tallied monkeys and black and white Columbus monkeys, the tour will see you also meet with local community, women groups and school going children, which will give you true touch of an African experience safari and end the day with dinner and overnight at choice of your lodge. Meal plan Breakfast, lunch and dinner. Pick up from your Hotel or residence in Kampala. Transport to Kibale for chimpanzee trekking safari and back to Kampala. Accommodation in the selected lodges in shared Double/twin room. Meal as per trip plan. Chimpanzee trekking permit for each valid for a day. Visit to the crater lakes. Optional visit to Semuliki national park for Hot springs. Meals and drinks not mentioned in the trip plan. No smoking is allowed while with the Chimpanzee or within a distance of 200 meters from the Chimpanzee. Keep Distance of 7 meters (21 feet) away from the Chimpanzee. Do not use flash photography as they may scare the Chimpanzee. Anyone with flue or Diarrhea or any sort of communicable diseases will not be allowed to enter the park for Chimpanzee trekking safari in Kibale Uganda. Always stay in a tight group while with the Chimpanzee and do not surround the Chimpanzee while meeting them. Persons aged below 15 years are not allowed to do Chimpanzee tracking. Carry packed lunch and enough drinking water. Don’t forget to carry rain gear, weather gloves, sunscreen lotion and a hat for unpredictable weather. You can carry photo camera though using flashlight is not allowed in use during the encounter with Chimpanzees.